Is a State With No Income Tax Better or Worse? (TNS)—Is it better to live in a state with no income tax? It’s a great question to ask, especially when considering how much of our paycheck is already set aside for Uncle Sam. Seven U.S. states forgo individual income taxes as of 2018: Alaska, Florida, Nevada, South Dakota, Texas, Washington and Wyoming. Residents of New Hampshire and Tennessee are also spared from handing over an extra chunk of their paycheck, though they do pay tax on dividends and income from investments. The main benefit of eliminating the individual income tax, proponents say, is that states with no income tax on residents become beacons for growth. They’re better at creating jobs and keeping a core of young, educated workers from moving to other states. The American Legislative Exchange Council [conservative, generally] reports that over the past decade, the nine states without a personal income tax have consistently outperformed the nine states with the highest taxes on personal income in job creation, population growth and even tax revenues. Others, however, are skeptical about those findings. “There is no compelling evidence that states without income taxes are outperforming states that have them or even have relatively high rates,” says Michael Mazerov, senior fellow at the Center on Budget and Policy Priorities [generally progressive]. “The research shows that the overwhelming driver of where people choose to live and where people choose to move is job opportunities and family reasons, and state and local taxes are pretty negligible for most households,” Mazerov says. The issue is undoubtedly controversial. Public opinion usually swings with the size of one’s paycheck and the role people think governments should play in shaping society. Before taking a side, however, consider these factors. Officials in states with higher individual income tax rates—think California and New York—are less than thrilled about a provision in the new tax code that caps the state and local tax (SALT) deductions that residents can claim at $10,000. The old tax code allowed taxpayers who opted to itemize instead of take the standard deductions—formerly $6,350 for single filers and $12,700 for couples filing jointly—to deduct all of the property taxes they paid to state and local government agencies, as well as their tally from either sales taxes or individual income taxes. Since most people rack up more individual income taxes, that is the category they choose to deduct. The changes leave some likely owing more going forward, economists say. It’s more business as usual for people living in a state without individual income taxes, because those residents were by default either taking the standard deduction or subtracting the amount they paid in sales and property taxes from their federal tax bills. Without making some big purchases or holding a substantial real estate portfolio, it will likely be harder to hit the new $10,000 cap. State governments use taxpayer dollars to fund road maintenance, law enforcement agencies and other public services. The funding for those services typically comes from three key areas: property taxes, sales taxes and income taxes, says Stephen Miller, director of the Center for Business and Economic Research at the University of Nevada, Las Vegas. States without a personal income tax might ask residents and visitors to pay more sales tax on groceries, clothes and other goods, as is the case in Nevada—or, like in New Hampshire, homeowners end up paying more on their property tax bills compared with those in neighboring states. Tennessee, for example, has the highest sales tax in the country. The Volunteer State, which reviles income taxes so much that voters changed the Tennessee Constitution in 2014 to forbid these taxes for good, charges a 7 percent sales tax statewide. When combined with local sales taxes, the combined rate increases to an average of 9.46 percent, according to estimates from the Tax Foundation. That’s more than double the combined rate in super-touristy Hawaii. In New Hampshire, homeowners pay some of the highest effective property taxes in the nation, according to an analysis by ATTOM Data Solutions. The Granite State also continually ranks poorly for contributing funds to higher education, and holds some of the most expensive two-year and four-year colleges in the nation when looking at average tuition and fee prices, according to the College Board. In Washington, pump prices are routinely among the highest in the country, in part because of a sky-high gasoline tax. As of 2018, Washington charges 49.5 cents per gallon in gas taxes, the second-highest in the country, according to The Energy Information Administration. Elsewhere, Texas and Nevada have above-average sales taxes, and Texas also has higher-than-average effective property tax rates. Florida relies on sales taxes, and its property taxes are above the national average. Wyoming and Alaska make up for the lost income tax revenue through their natural resources. Both states enjoy hefty tax revenues from coal mining and oil drilling operations. All of those extra taxes contribute to higher-than-average living expenses in some of those states. 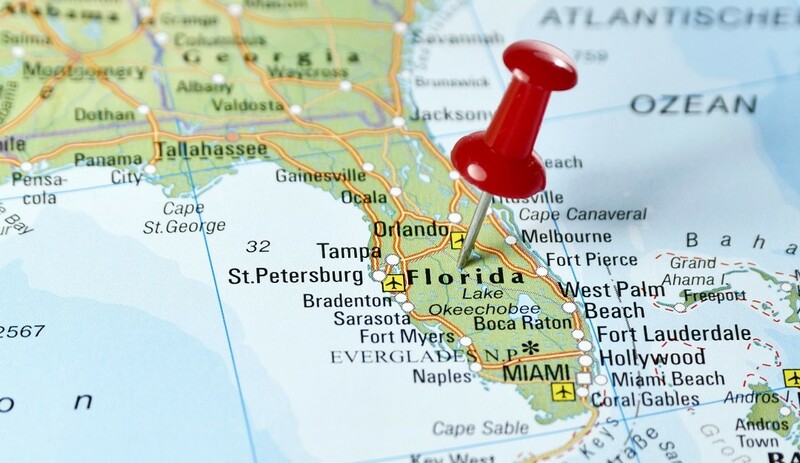 Florida, South Dakota, Washington and New Hampshire all have higher than the median cost of living, according to data compiled by the Center for Regional Economic Competitiveness. Alaska is among the most expensive places to live, but a big part of that is because it’s so remote. While the jury’s still out on the benefits of living in a state with no income tax, experts agree that there is one clear result for those states that do levy an income tax: It helps the poor. An income tax is a classic tool for redistributing wealth. It’s usually “progressive” in nature, meaning that it taxes higher earners at a greater rate than lower earners. Other taxes typically don’t have that characteristic. Sales taxes, for example, are considered “regressive.” They don’t change depending on the income level of the consumer. They treat everyone the same. So do levies on food, gasoline and other key consumable items. These taxes place an unfair burden on the poor, according to research from the Institute on Taxation and Economic Policy (ITEP) [a nonpartisan nonprofit]. The reason is the lowest earners in the state devote the lion’s share of their take-home pay to buying things that are subject to sales taxes. The wealthy, who can save a chunk of their income in their 401(k)s and other investments, have a much smaller exposure to the sales tax. Advocates for abandoning personal income taxes are driven by the same line of thinking: Cutting the income tax will boost take-home pay for everyone. It’ll make the state more attractive than its neighbors, drawing new businesses, creating jobs and sparking an influx of talented workers. But does this really happen? A variety of economic policy groups have pushed back over the past few years, raising questions about whether any of those claims are true. “If taxes where everything, California would be empty and Wyoming would be bursting at the seams,” says Robert Godby, director of the Energy Economics & Public Policies Center at the University of Wyoming. When you put the top nine states with the highest individual tax rates against the nine states that don’t go after a piece of workers’ paychecks, data shows team no-tax had a higher average population growth rate from 2006 to 2016—11.9 percent compared to 5.6 percent, according to the ITEP. Wyoming, home to a great deal of the nation’s coal and oil and gas activity, saw one of the larger gaps between job creation and population growth, according to the 2017 report. The Cowboy State traditionally shifts more of the tax burden onto the energy industry. While that might work during boom times, bust times create funding challenges. Other governments that shift the onus away from income earners might also find themselves more susceptible to budget blows, Godby says.